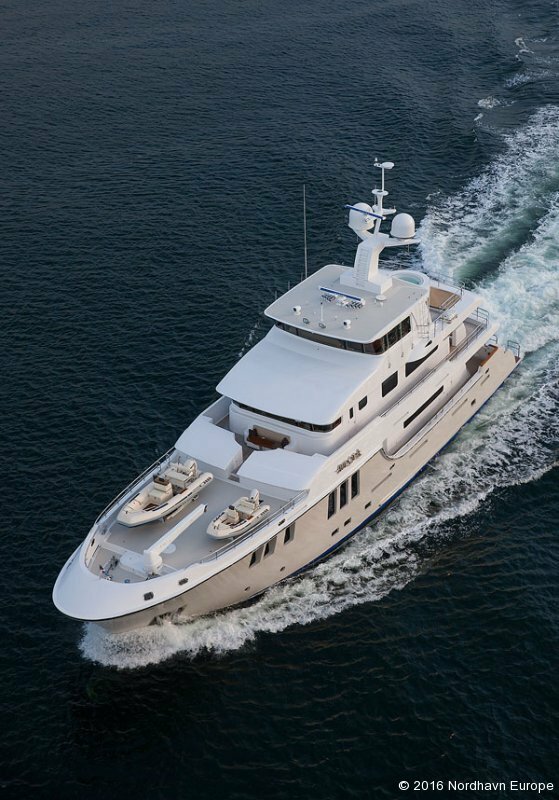 Jeff Leishman has made her waterline length a sweet spot in terms of wave period, and in doing so, makes long passages a very comfortable experience. 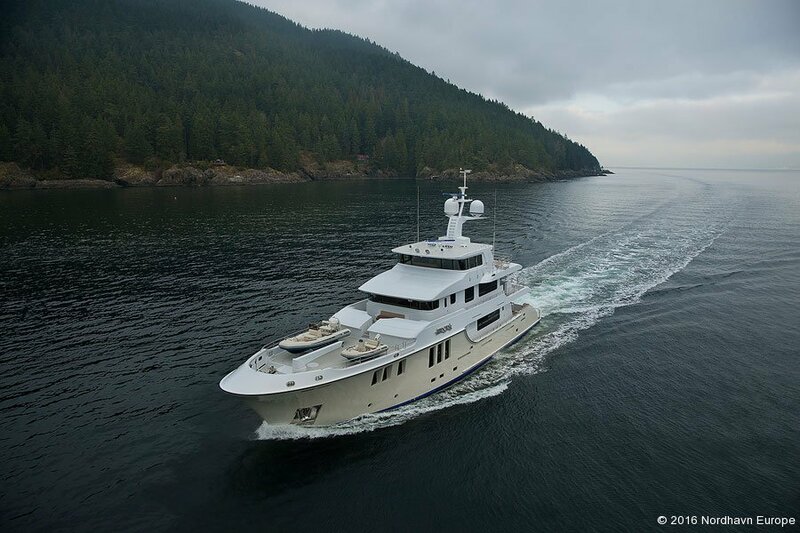 A vision of optimum design, advanced engineering and spacious, luxurious life onboard, the new Nordhavn 120 beckons those who consider the world their playground and the ocean, a home. 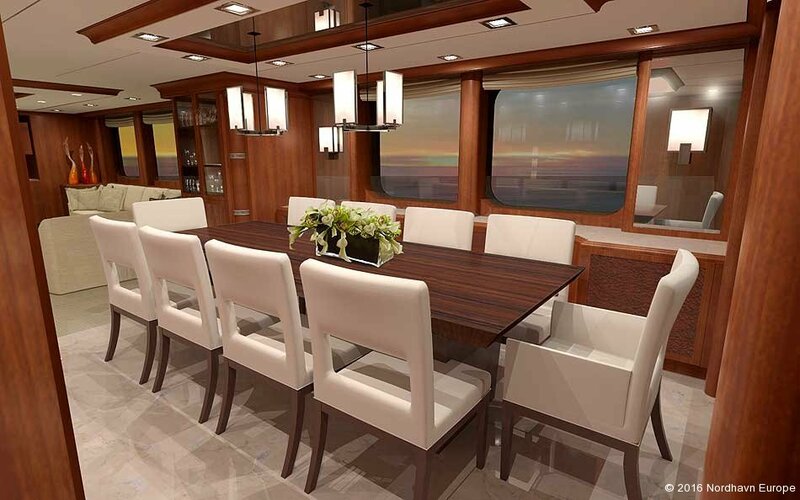 Beautiful and sleek yet big and brawny, the N120 gracefully carries the owners and up to eight guests, indulging them with spaciousness and richness. 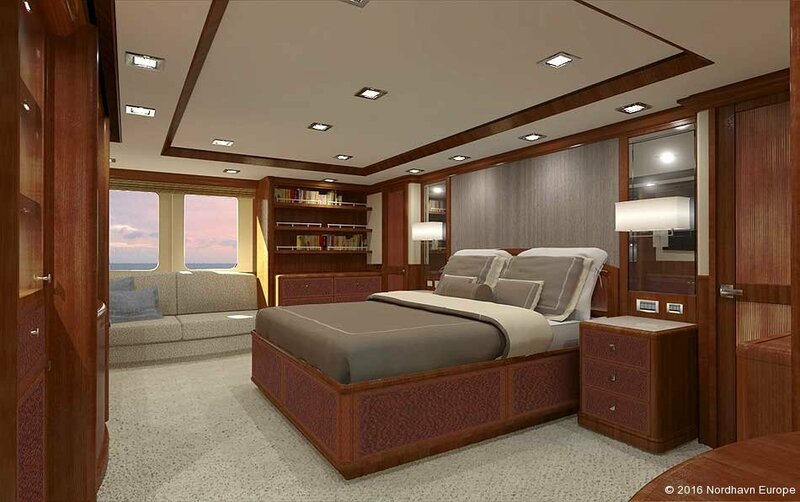 With four decks, four king-sized guest suites and a tantalizing owners’ suite, she may rightly be considered a personal luxury ocean liner. 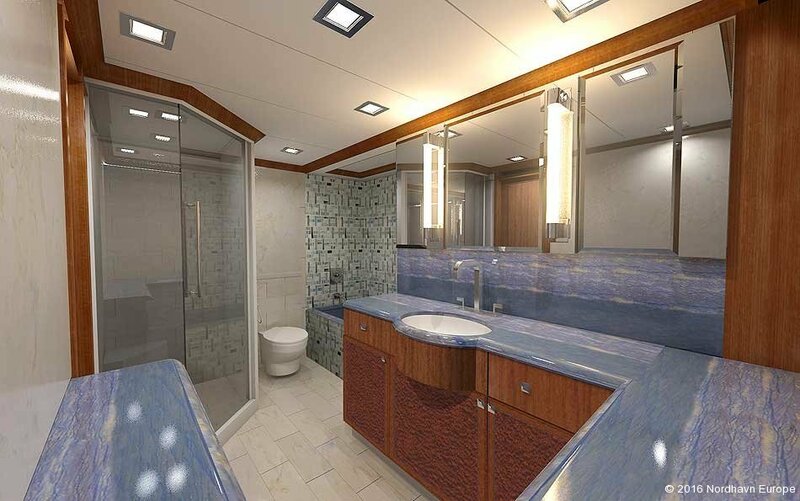 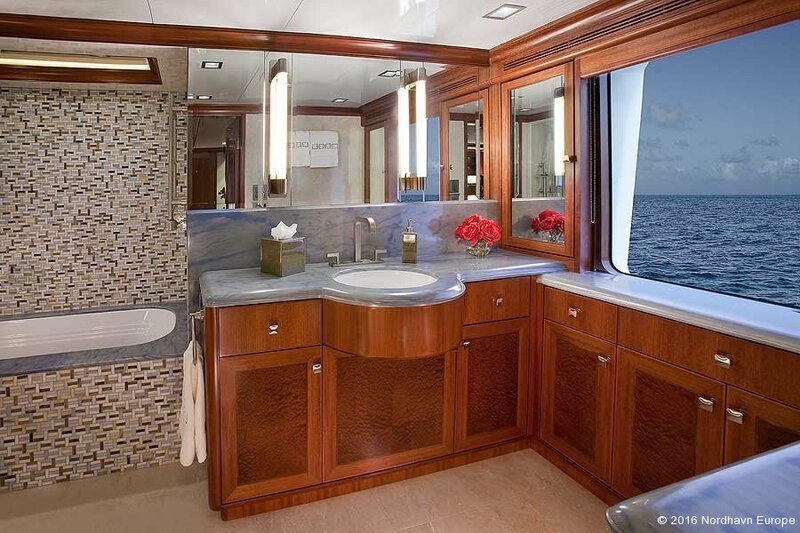 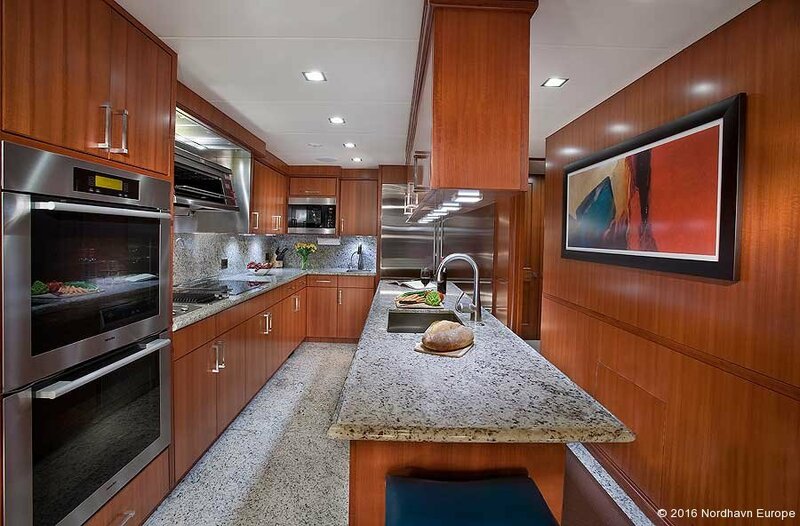 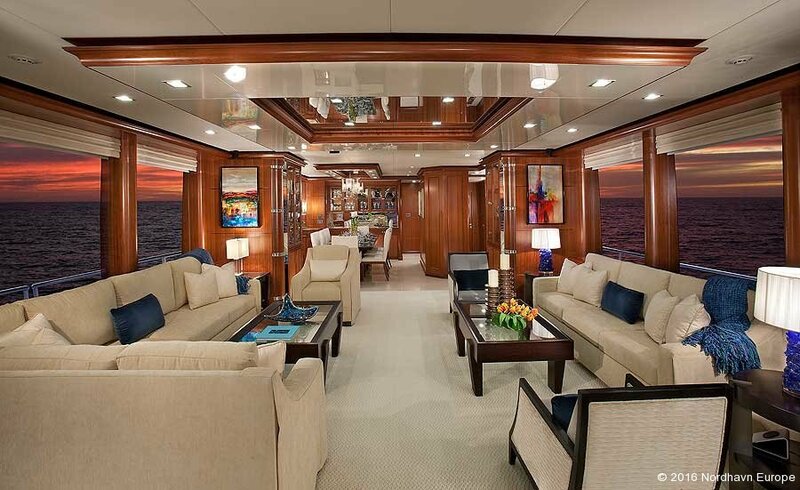 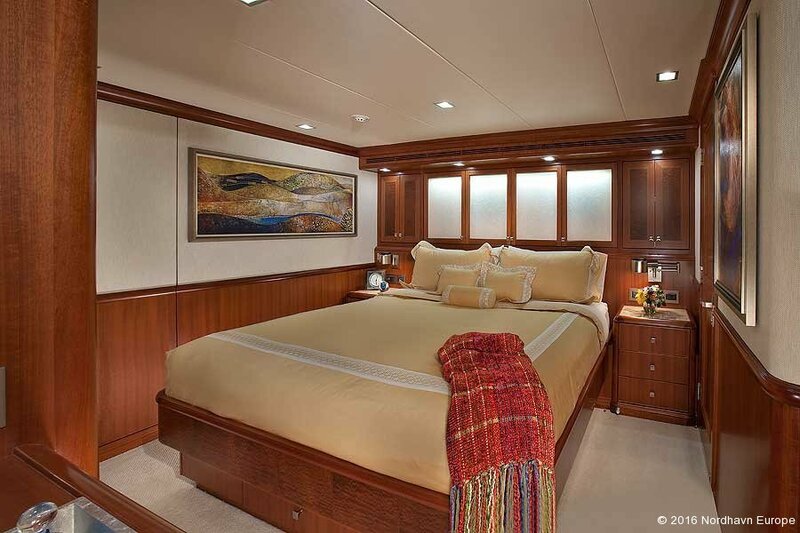 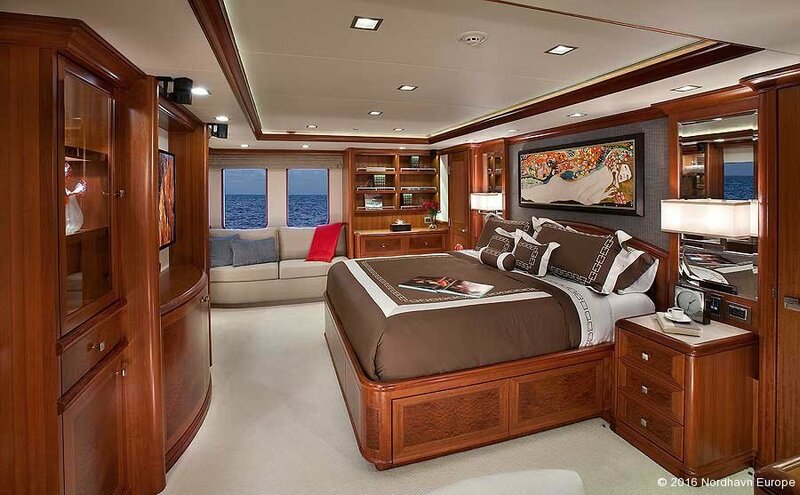 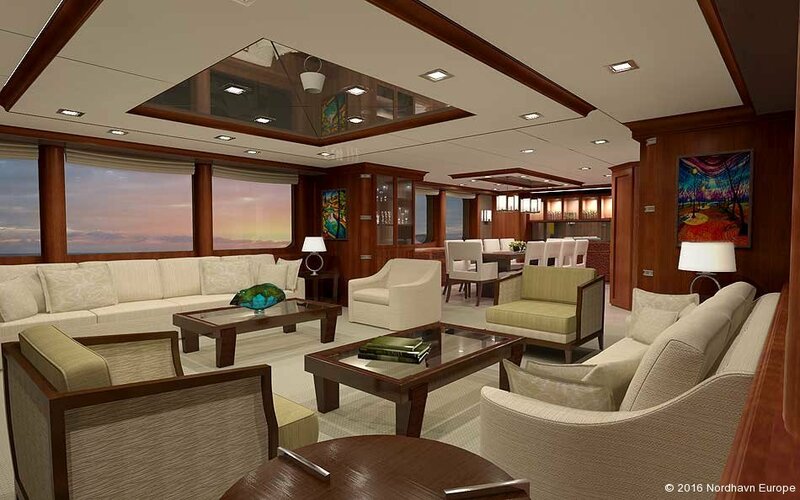 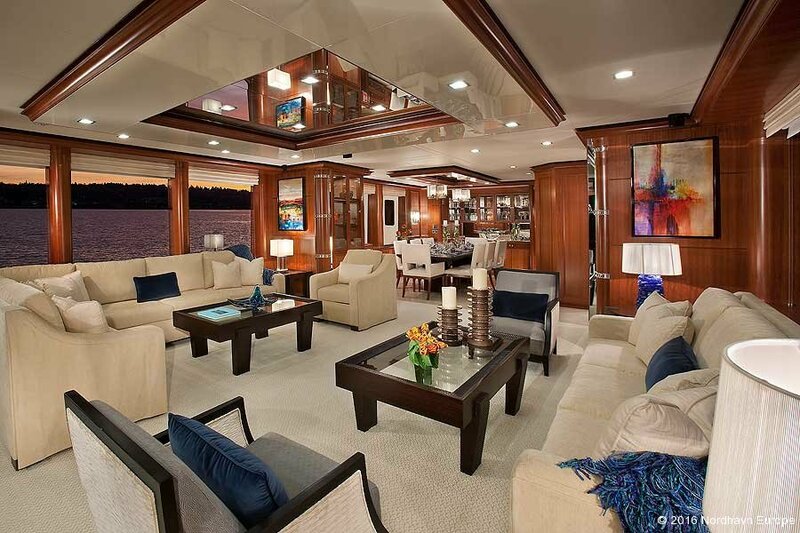 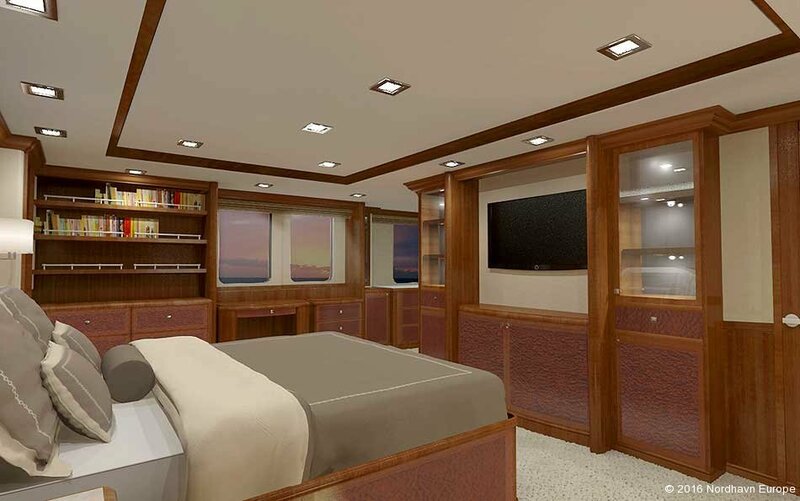 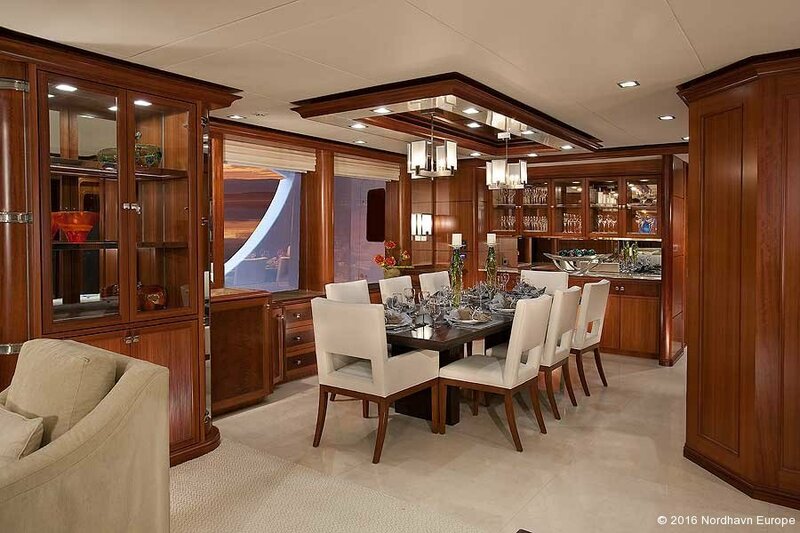 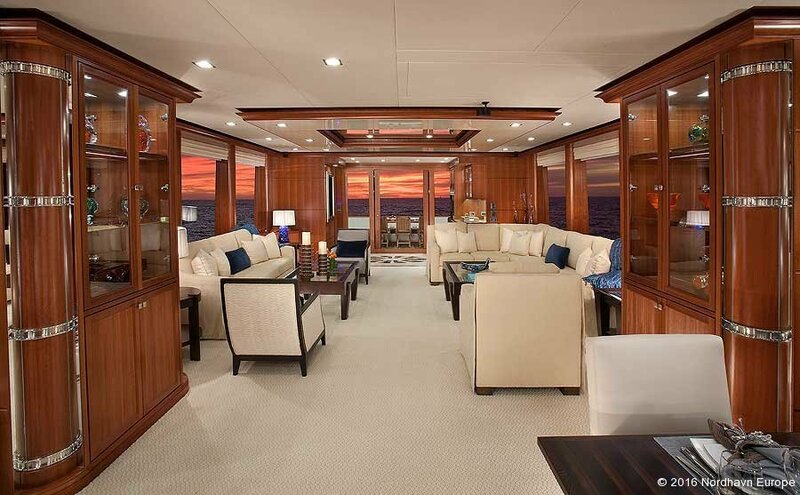 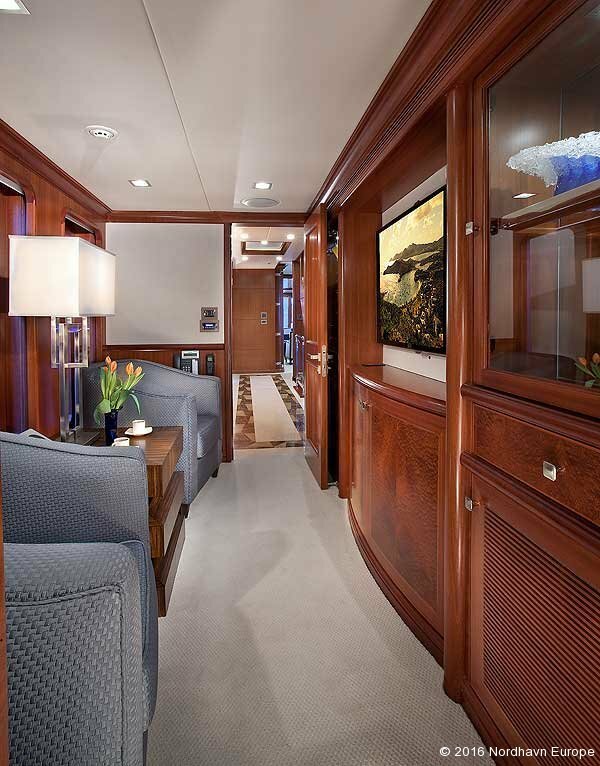 Using only the finest hardwoods and finishes, each interior can be customized to her owners’ wishes. 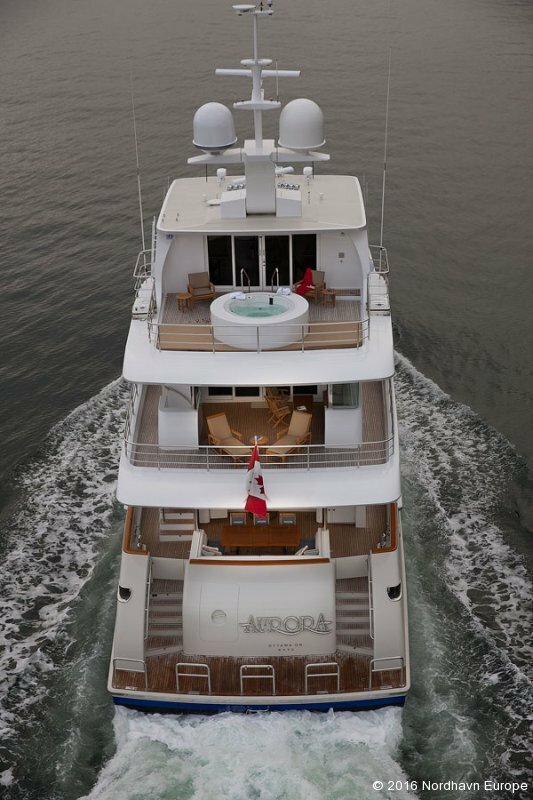 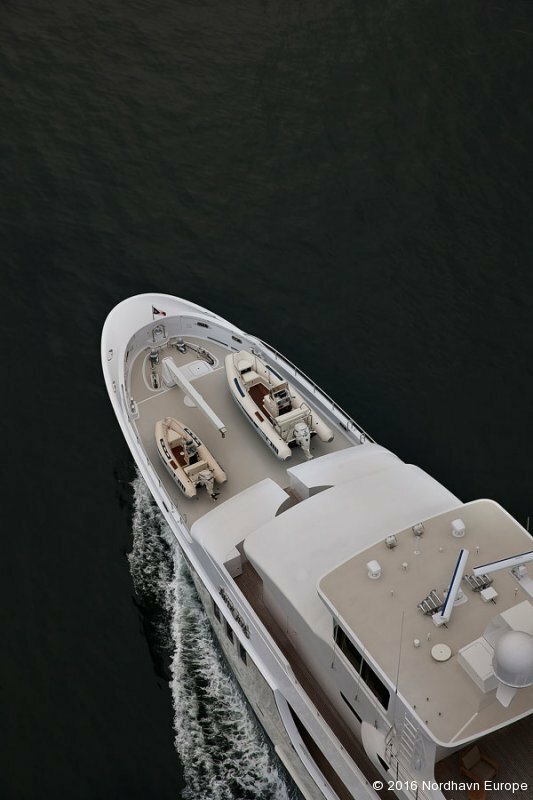 And Nordhavn will work closely with a client’s personal designer ensuring the exact degree of elegance desired will be satisfied. 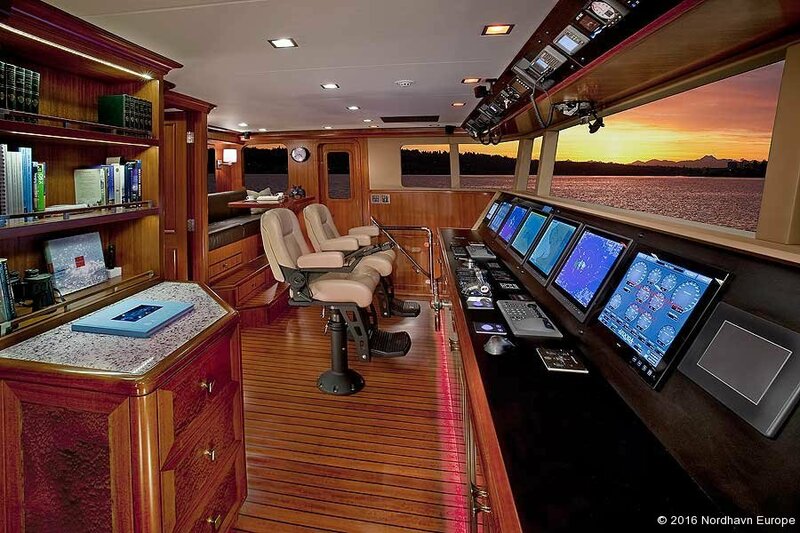 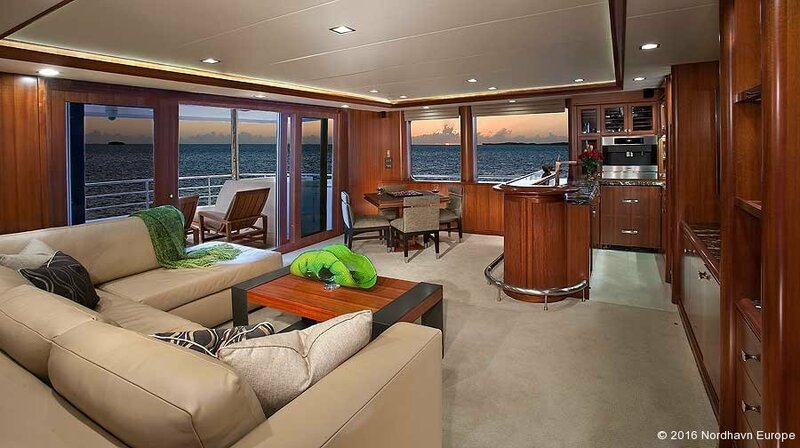 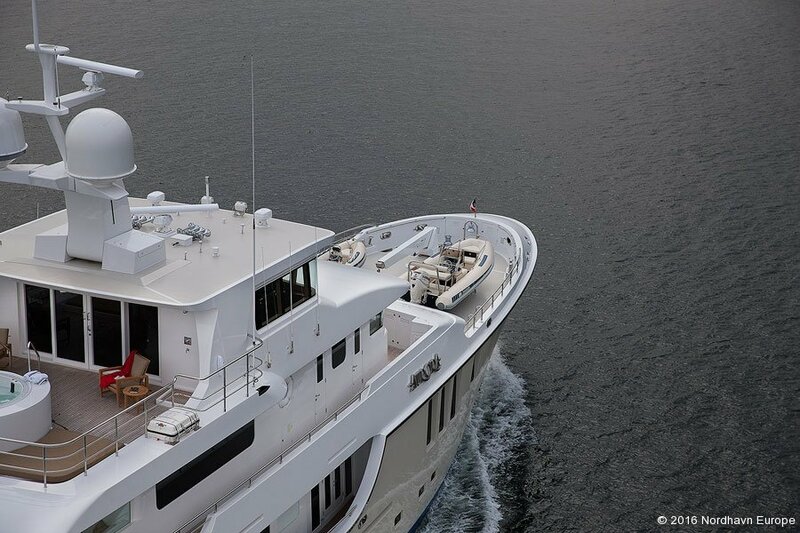 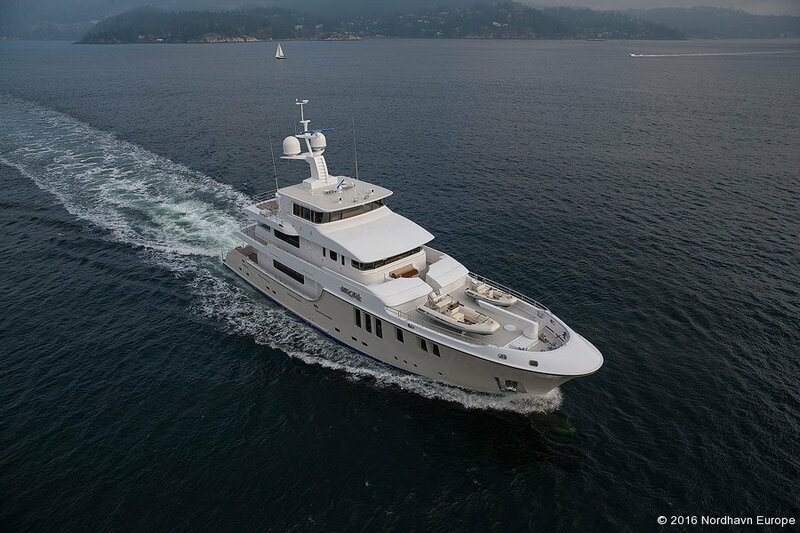 But the real beauty of the N120 is that she is built to handle the seas as well as she handles her guests. 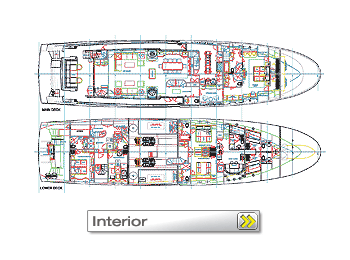 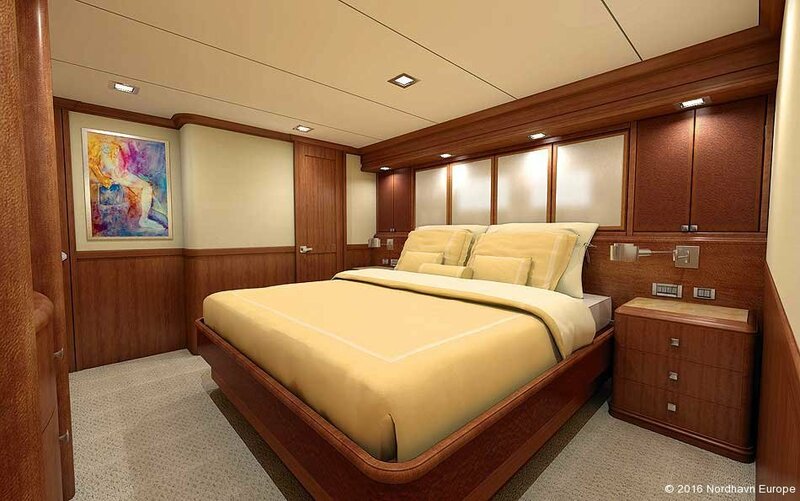 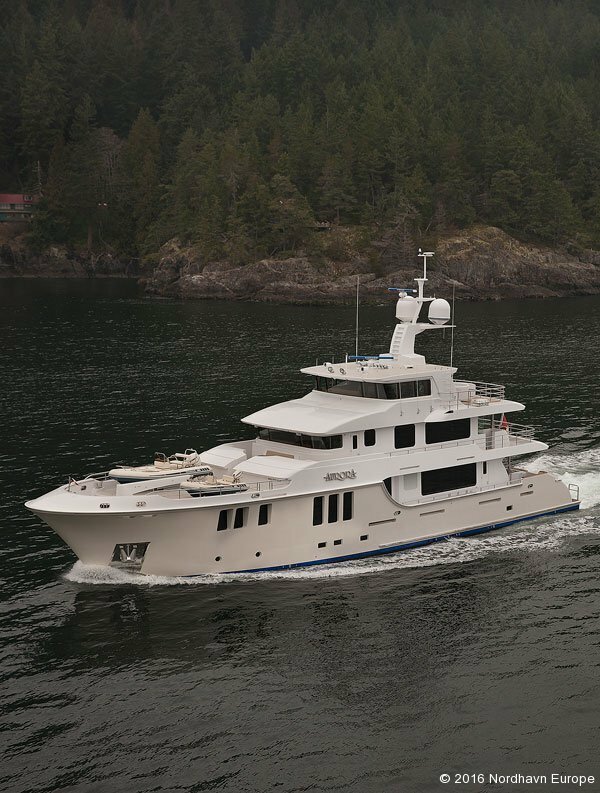 Naval architect Jeff Leishman has made her waterline length a sweetspot in terms of wave period, and in doing so, makes long passages a very comfortable experience. 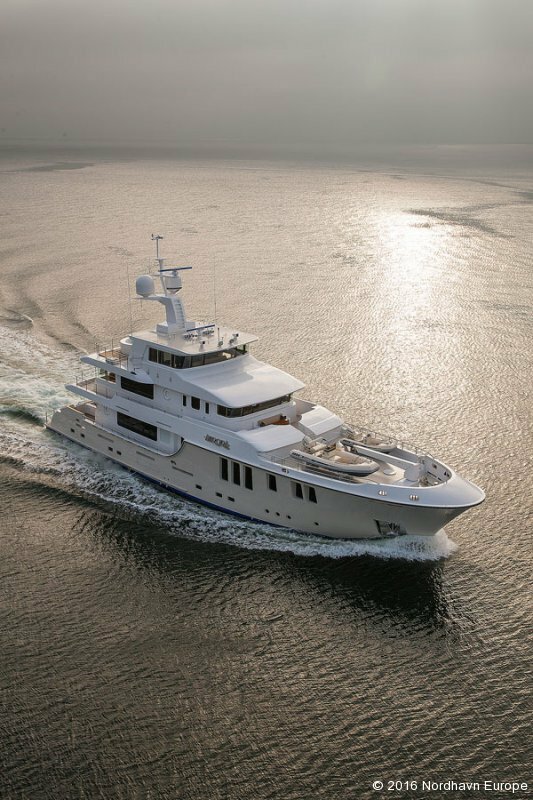 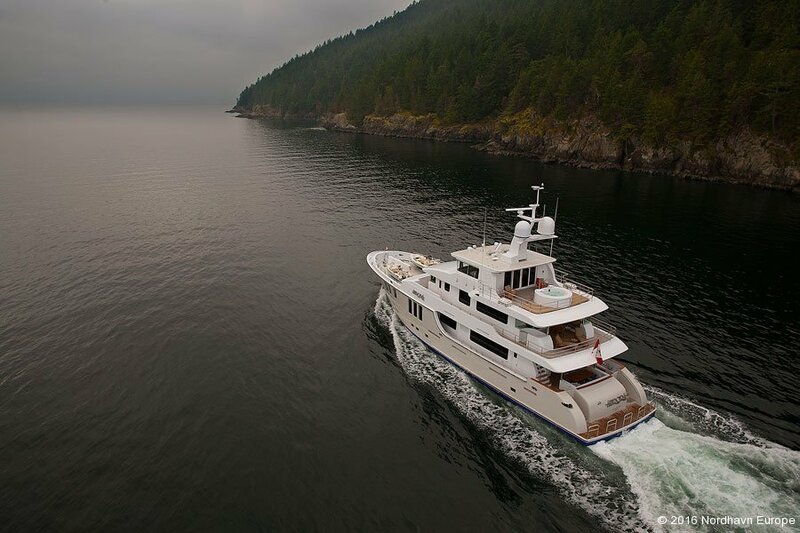 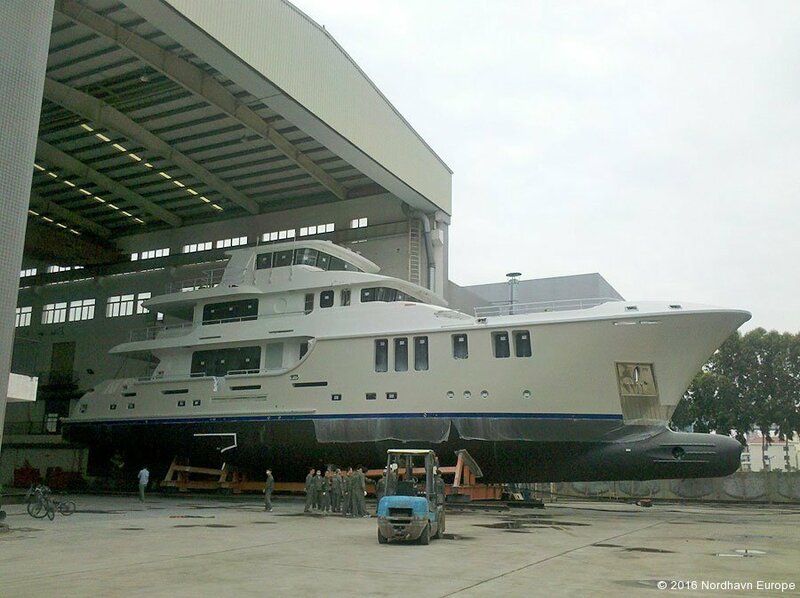 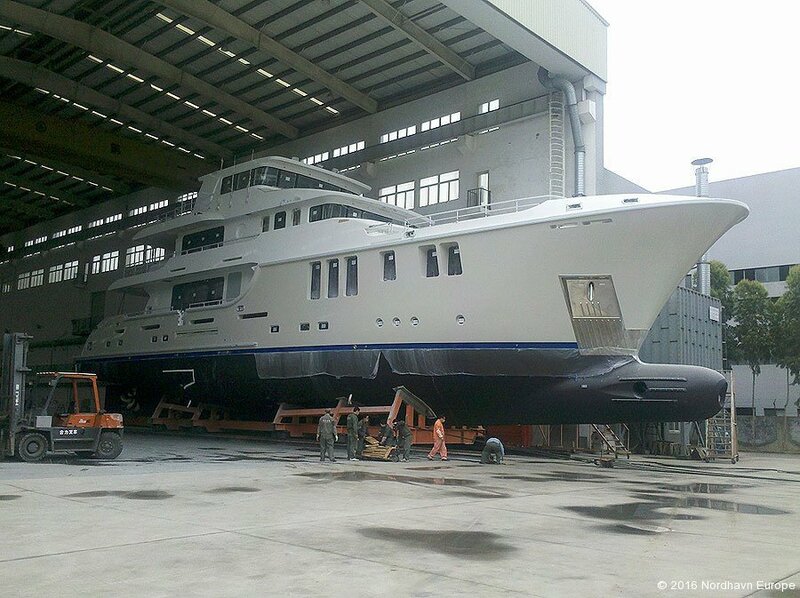 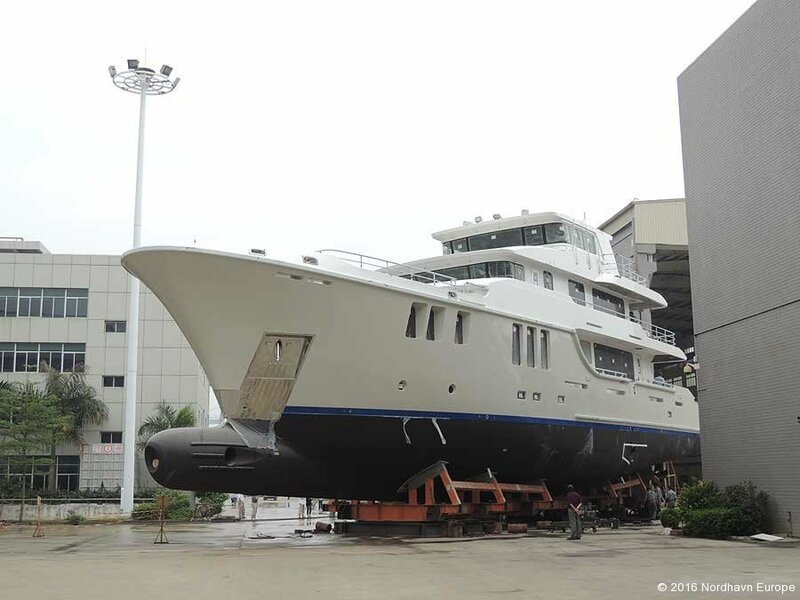 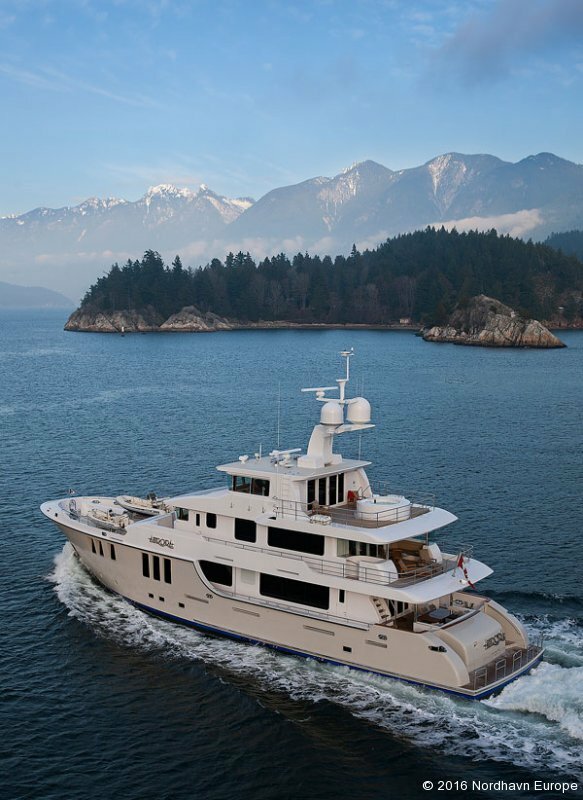 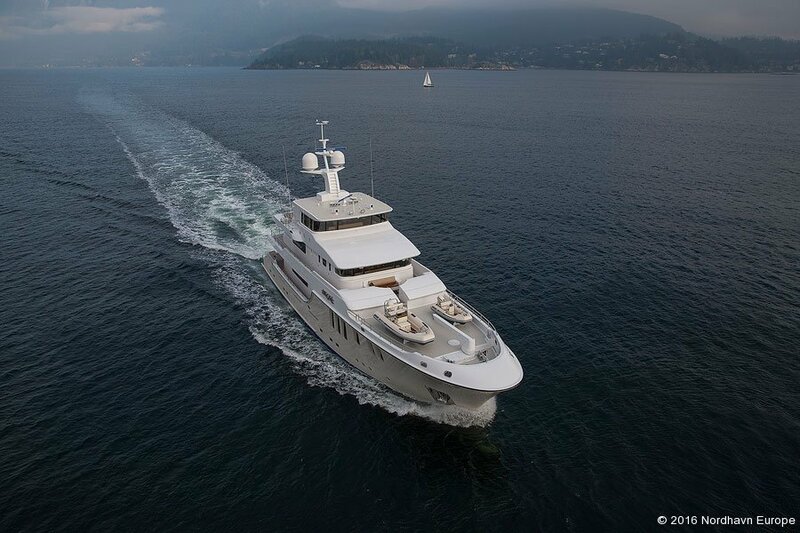 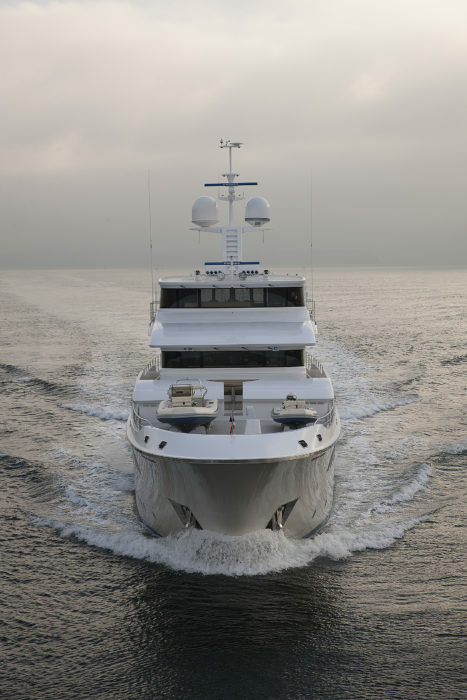 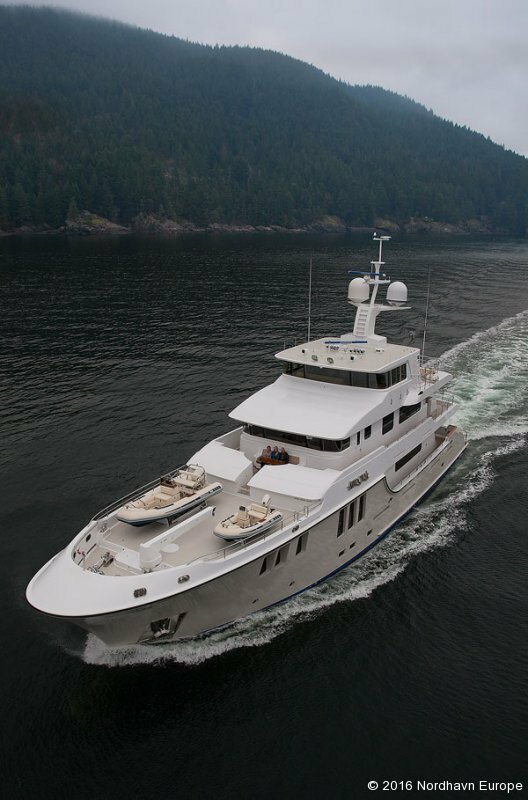 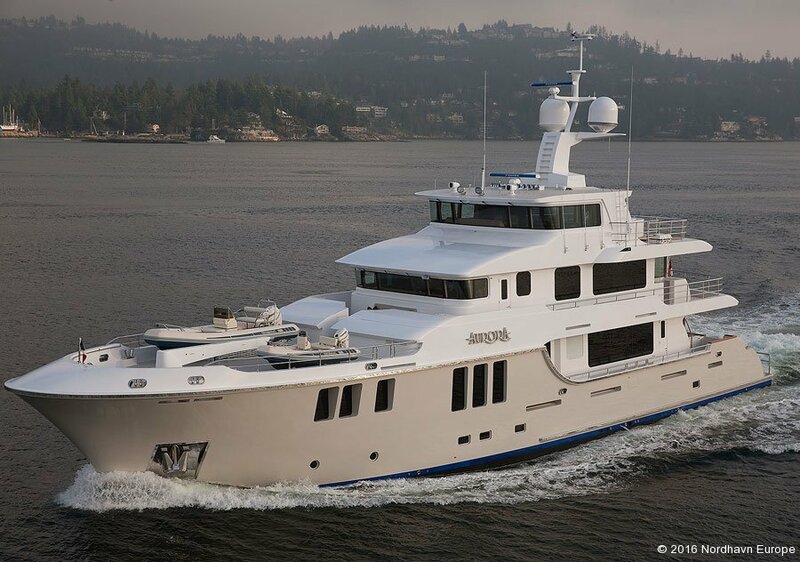 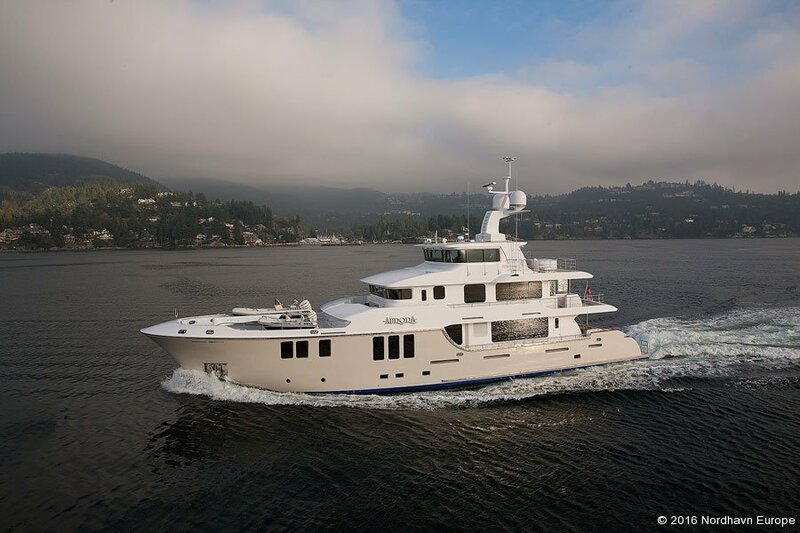 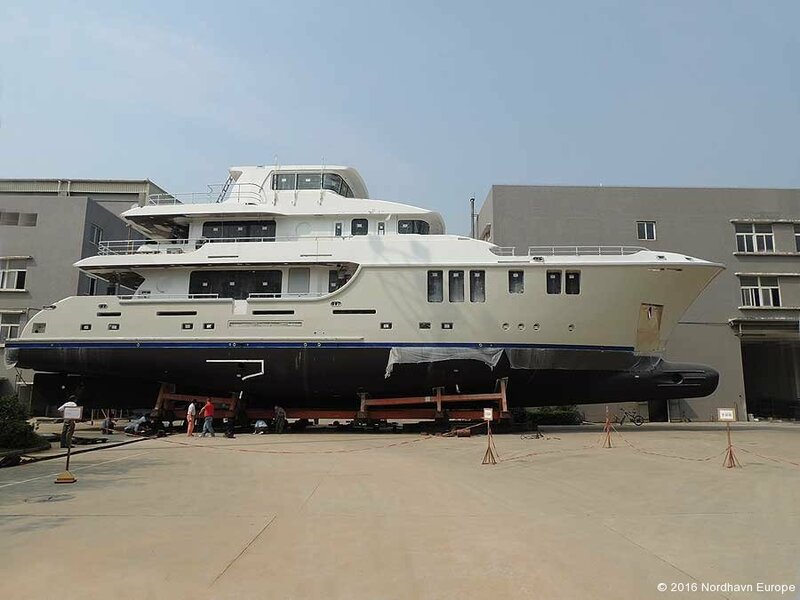 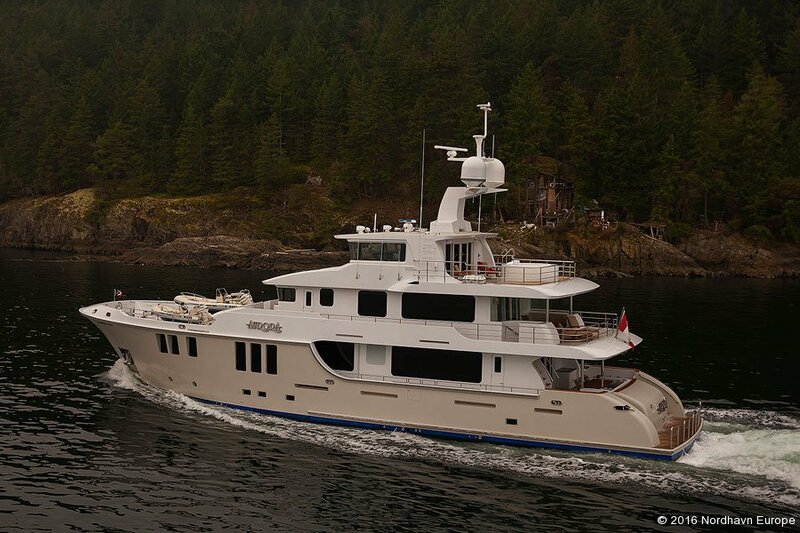 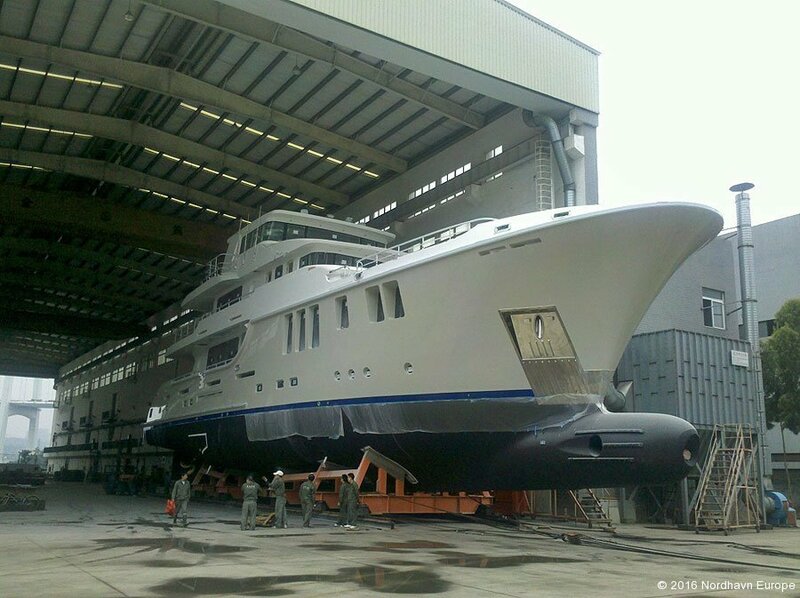 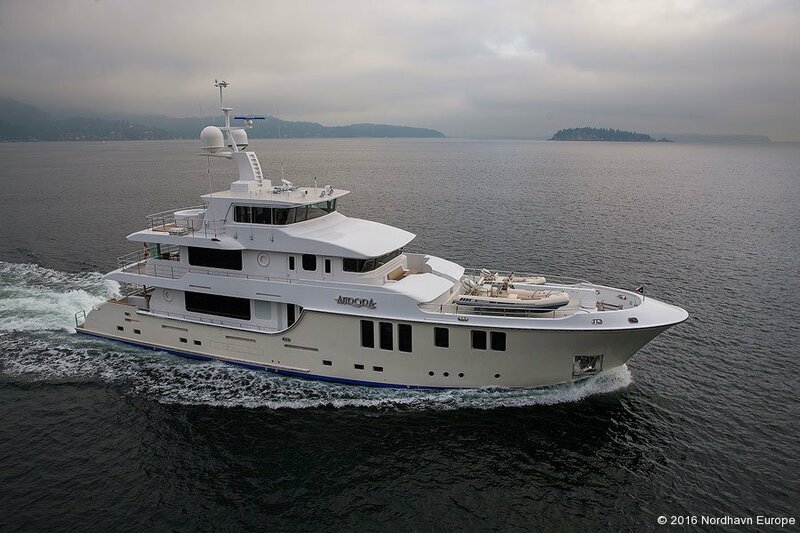 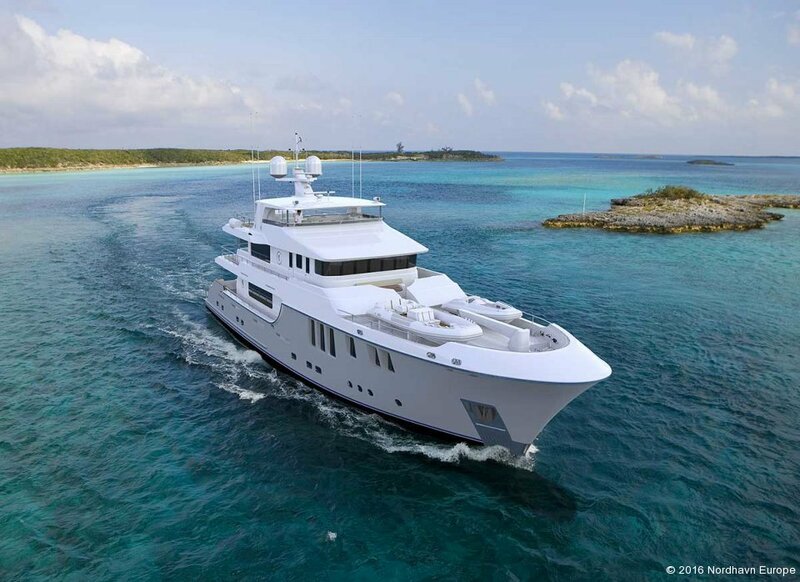 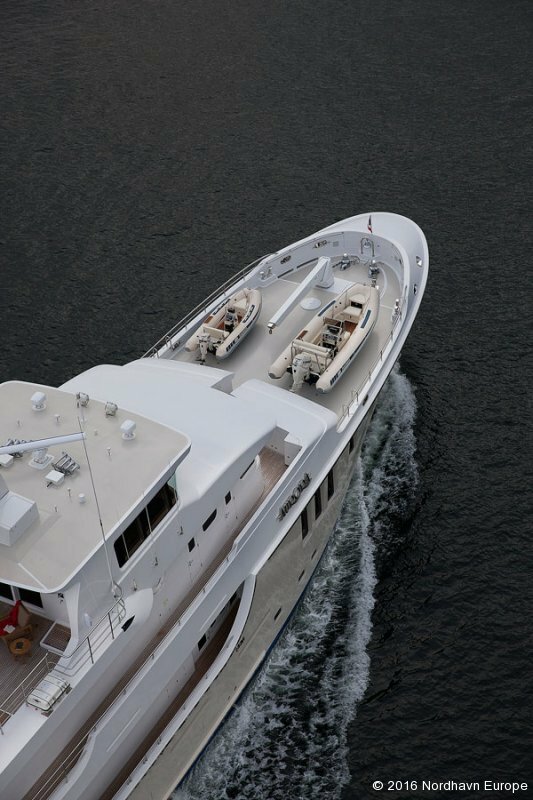 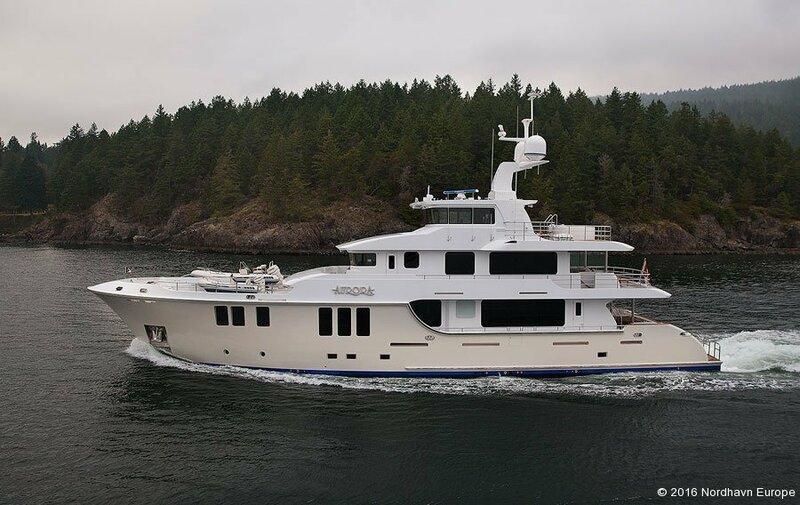 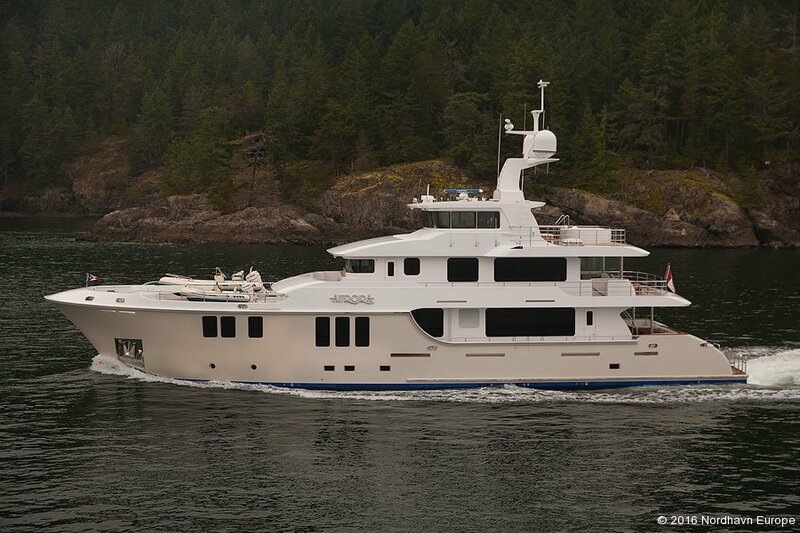 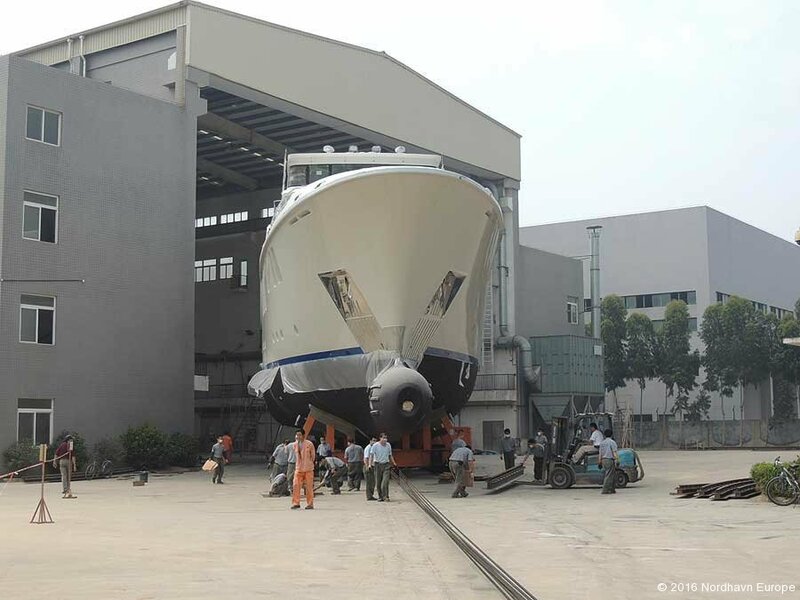 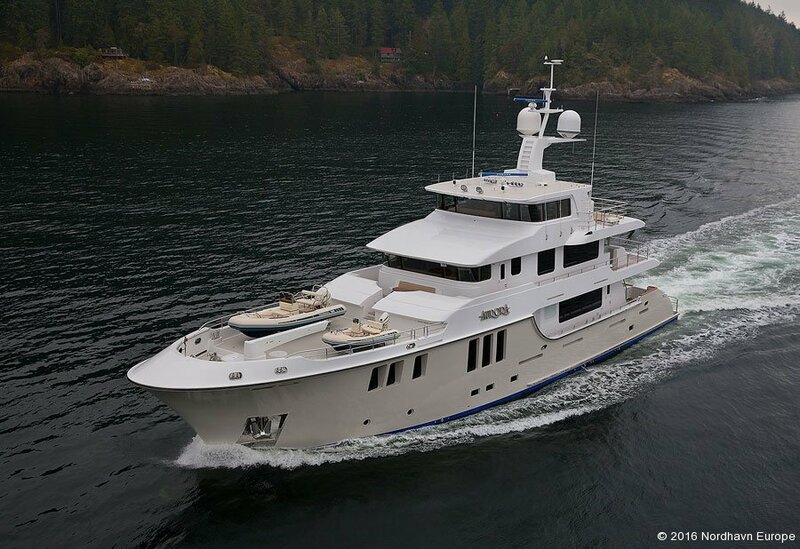 Encompassing the highest degrees of talent, experience and imagination any production manufacturer can offer, the N120 represents Nordhavn’s commitment to the future while continuing to stay true to our roots. 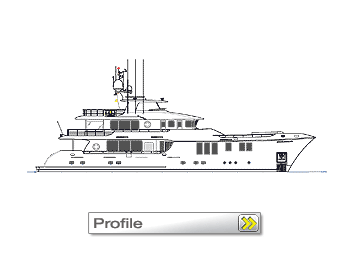 She’s constructed at South Coast Marine which also builds several of our smaller models. 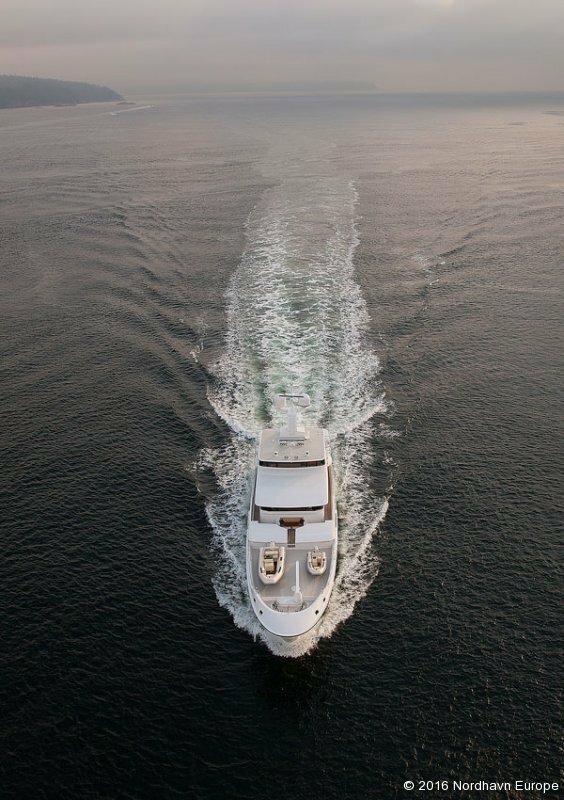 The N120 is a world-class, ABS-certified yacht destined to be the choice of a new generation of travelers expecting the best and finding their expectations exceeded.